Prices of the Dacia Duster to be announced on the 27 June are guaranteed to send tremors through the foundations of any manufacturer or dealer marketing lifestyle SUV vehicles. The full price list and corresponding specifications for the RHD Dacia Duster SUV will be released on www.dacia.co.uk on 27 June. Dacia Duster demonstrators (in LHD) will then be on show at the Goodwood Festival of Speed from 28 June, and Dacia will be the event’s official campsite sponsor, offering a shuttle service between the event and local amenities from 7-11pm between 27 June and 1 July. 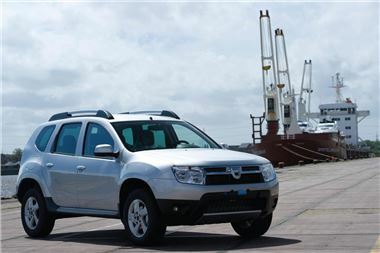 127 Dacia dealers have now been appointed to serve the UK from launch and the Davia Duster will be on static display at them from 28 June. Public test drives of LHD Dacia Dusters will be taking place at the Moving Motor Show on Thursday 28 June (though these are all already pre-booked). Three static Dusters will also be available for closer inspection in the Dacia area right through until Sunday 1 July. Following a successful launch in Italy and Netherlands, the UK will be the third subsidiary to offer customers the option of pre-ordering a Dacia online. The hassle-free approach of the newly opened ‘Dacia Store’ will mean that not only can customers configure their preferred Duster on www.dacia.co.uk from 28 June, they will also be able to pre-order it with just a £100 deposit to ensure they are one of the first to receive theirs when deliveries commence in January 2013. Pre-orders through the Dacia Store can be made 24 hours a day, seven days a week, with payment processed via credit and debit card. At the end of the transaction, customers can simply select a Dacia Retailer to fulfil their order. Closer to delivery, the chosen Retailer will then invite the purchaser in to accept delivery of the car and answer any questions they might have, including finance or after-sales. Promoting its imminent UK launch, as well as celebrating its recent success in the Rallye des Gazelles and impressive 20% Moroccan market share, Dacia has launched a competition to win a brand new Duster, plus a five-night stay in a Moroccan riad. More details can be found on www.dacia.co.uk and a replica of the rally-winning car itself will be on show at Goodwood.